This year I have had quite a few emotional ups and downs with 2 pregnancy losses. Pregnancy loss has been one of the hardest things I have ever had to go through. It is so hard dreaming about a baby but then feeling like your body has betrayed you. I had my second miscarriage in April and then I had a really scary ectopic pregnancy in August. My ectopic pregnancy ruptured and my left fallopian tube needed to be removed. Thankfully I am completely healed and healthy now. If I ever want to try and be pregnant again, it will be super important for me to watch when I ovulate. My hormones have also been a little crazy since my ectopic, and I want to be knowledgeable about how my body is ovulating. 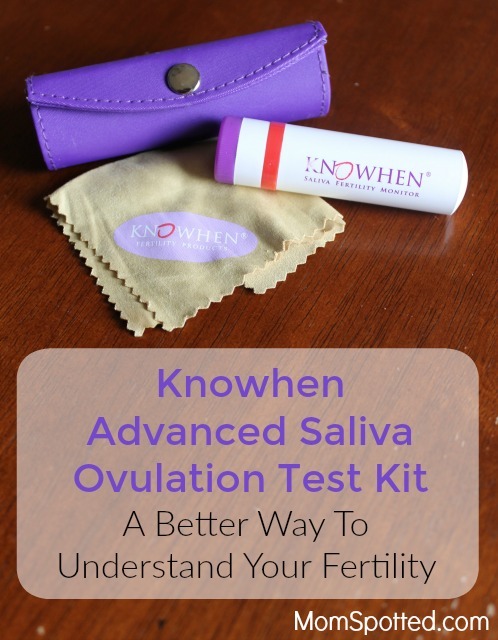 Knowhen Advanced Saliva Ovulation Test Kit is an ovulation test kit that uses saliva, and not urine like most ovulation tests. Knowhen can determine a woman’s most fertile days during each menstrual cycle with just a drop of saliva! It was rated the best ovulation predictor kit for 2016. Knowhen is so amazing and pinpoints your five most fertile days. Knowhen CEO Helen Denise had her life-threatening ectopic pregnancy and wanted a better method of understanding her fertility. Now that I have only one fallopian tube I have also really wanted to understand and track my fertility. Knowhen makes it so simple, mess free, and easy to track. The Knowhen fertility kit comes with a special telescope with a LED light. The bottom of the telescope unscrews so a drop of saliva can be placed on it first thing in the morning. After it has dried, I screw it back on and if I am ovulating a fernlike pattern appears. 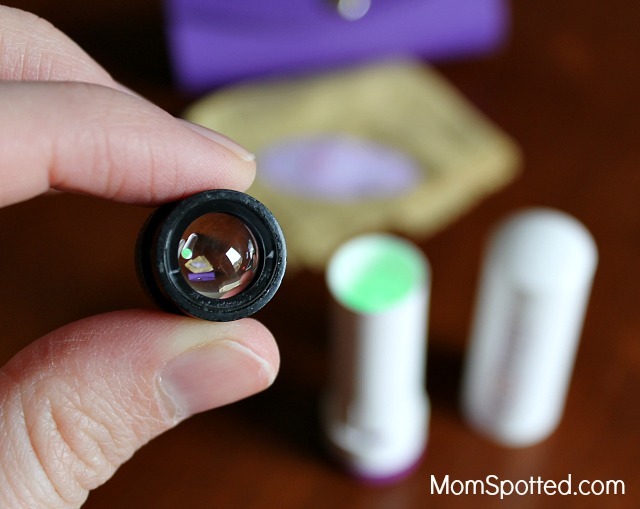 Then I wipe the lens clean and store it in the provided purple case. 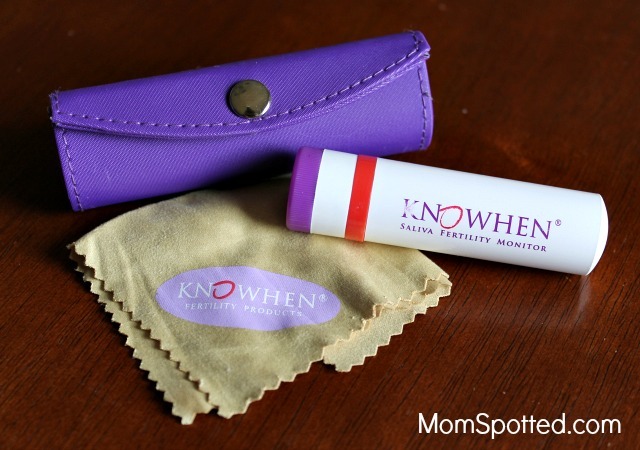 Unlike urine ovulation strips, the Knowhen kit is totally reusable for years and mess free! It is also clinically proven to have 98.9% accuracy! It is a natural and safe way to track ovulation. Knowhen also has a free personalized app to help track fertility. I feel like I am more knowledgeable and in control of my fertility. The Knowhen website is so helpful and has great information about natural family planning options as well as trying to conceive. If you are trying to conceive or are just trying to learn more about your fertility consider Knowhen. It is an affordable, reusable, and simple way to track your fertility.